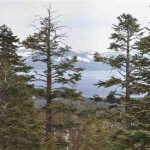 754 Milky Way #H Stateline NV offered at $205,000Rare find! Turnkey Heavenly condo with gorgeous lake views. Two bedrooms, one bath with well laid out floor plan. Features a cozy fireplace, laundry room and newer trex deck. Just down the street from Heavenly Ski Resort, shuttle pickup right outside your condo. Close to pool, hot tub and clubhouse. Fully furnished with the exception of the China hutch and the large television. Refrigerator, washer/dryer included.Continue Reading! 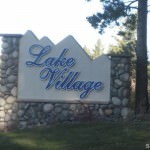 82 Rubicon Cir #B Stateline NV offered at $359,000Fantastic Lake Village Townhome adjacent to national forest. Quiet location with large private deck. Resort style townhome community with pool, spa, firepit, clubhouse, tennis and more. Great affordable opportunity to own in NV.Continue Reading!